Count Down to 100 attendees – Free T-Shirt! We’re almost at 100 registered guests for PodCamp Ohio and we still have over 2 months of registration before the event! 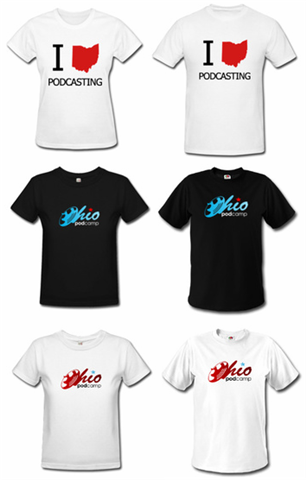 As an incentive, I (Angelo) will buy one of the first 100 registered guests a FREE PodCamp Ohio T-shirt. We will randomly pick from the first 100 registered guests, excluding organizers of course. We may be giving away more T-shirts and other prizes as the event gets closer. so if you’re planning on coming, get yourself registered!